Start 2018 on the right (red-bottomed) foot. If you're in New York and still thinking about making plans for New Year's Eve, look no further than what will probably be a pretty iconic night at Knockdown Center. 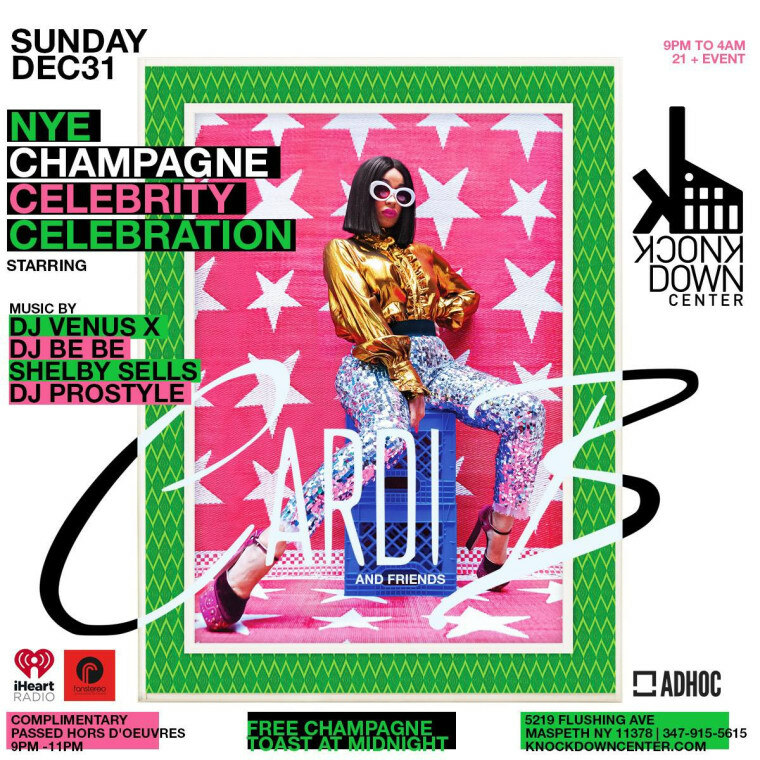 The small venue will be featuring FADER cover star and overall 2017 champion Cardi B "and friends" in an impressively eclectic night which also features GHE20G0TH1K's Venus X, DJ BEBE, DJ Shelby Sells and DJ Pro Style. As Venus's collaborator LSDXOXO noted on Twitter on Thursday night, the Cardi/Venus connection just "screams Dominican excellence." Cardi agreed and we do too.